Every company wants to grow it's business and safeguard its own success. In order to do so, it’s vital to market cleverly and consistently across all relevant marketing channels. The decision to hire a digital marketing agency or hire a marketing manager internally is one of the biggest decisions faced by business owners today. Let’s take a look at the two options of outsourcing your marketing activities to a specialist instead of handling your marketing in-house. Do you want a team of experts or a jack of all trades? So many channels, can you manage them all? 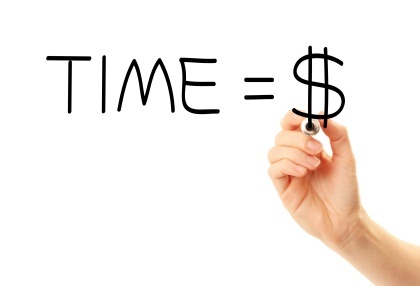 It’s not only money which is at a premium when running your own business – time is also vital. Imagine what more you could achieve if you removed the worry of digital marketing from your list of business priorities? Agencies often allocate a project manager to ensure your marketing is running smoothly and on time. Knowing that this crucial area is taken care of by industry professionals frees you up to focus on other areas of the business, meaning you have more time to help focus on growth, expansion and the day-to-day concerns of your company. Website, landing pages, blog writing, Facebook, Twitter, Instagram, YouTube, Advertising, SEO, eBooks. Webinars. Which ones are relevant to your buyers and how many of these channels can one person handle? Retaining the uses of a digital marketing agency provides an all-important objective viewpoint which employees who are too wrapped up in the company itself will usually lack. A great digital team know how to analyse your current activities without any detrimental baggage, sentiment or emotional attachment. However, this doesn’t mean that a digital agency won’t be interested in ensuring your company performs at its highest level. In actual fact, they’ll have a vested interest in producing demonstrable results for your company and helping to fuel your future success in order to retain your business. By partnering with an agency, you'll have the ability to scale as your business grows. You can delegate, test, and increase your marketing to grow your business without having to start again with the hiring and training process. You’ve no doubt already have a web presence. But did you know that mobile traffic has overtaken access via desktops? It’s no longer enough to have a simple website, you need to be accessible to your potential customers wherever they are, from when they’re sitting at home to when they’re commuting to work. That means that responsive websites are imperative. Your website needs to be available on any device and a responsive website will adapt to any screen size, ensuring that users get a great experience whether they’re on a smartphone, tablet, or desktop. Customer don’t just want to be able to find you online, they want to be able to make a booking when it suits them. Incorporating a method of communication that makes the process effortless and digital, is just one way to increase sales. With the right features built in, your customers can make a booking with minimal hassle.They need to be able to communicate with you, without having to pick up a phone. Having someone dedicated to your business means they focus day in and day out on your brand. They are fully immersed in your company. They are in the office next to you which some people prefer. Agencies will often be available to make client visits and workshops. We set up a slack channel at First Five Eight so that we are available throughout the day. This helps to ensure agencies are also not too close to your brand that they miss the big picture.